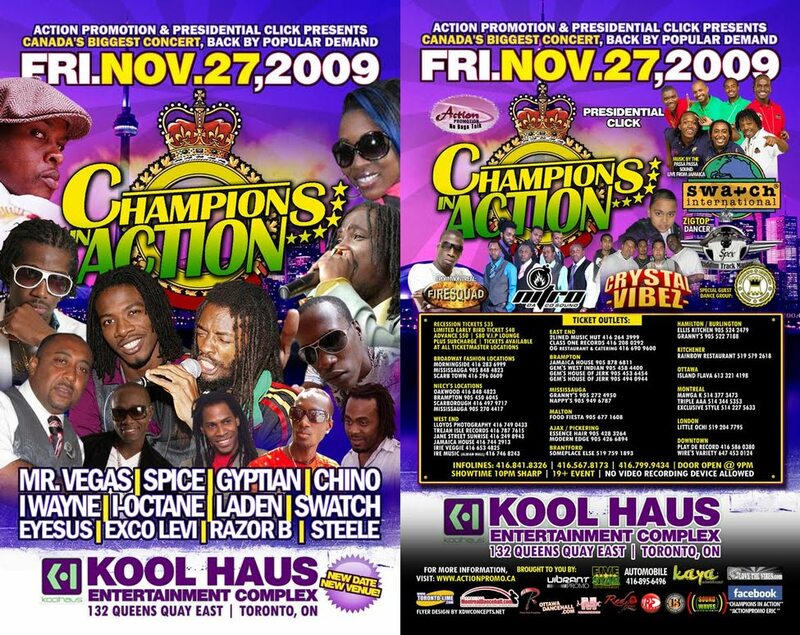 iDancehallReggae.com::Caribbean Lifestyle Media::: Canada: Champions in Action Cancelled for 2nd time? Canada: Champions in Action Cancelled for 2nd time? BUZZ: Caribbean Lifestyle Media recently learned that Champions in Action has been cancelled for a second time in Canada. We brought you the first cancellation. The Promoters of the event rescheduled the event to take place on November, 27th at Kool Haus Entertainment complex in Toronto, On. Slated to perform for the bill-Laden, Chino, I-Octane, Iwayne, Spice and others. Caribbean Lifestyle Media was able to confirm with Big Ship's Michael "Biggs" Burbrige that they receive confirmation that the event was cancelled. Attempts to reach Action Promotions was unsuccessful, at this time we can only confirm that Laden and Chino's camp was told that event was cancelled. In unconfirmed report, an insider told Caribbean Lifestyle Media that the event was cancelled by Toronto's police. We will keep you updated on this breaking story.